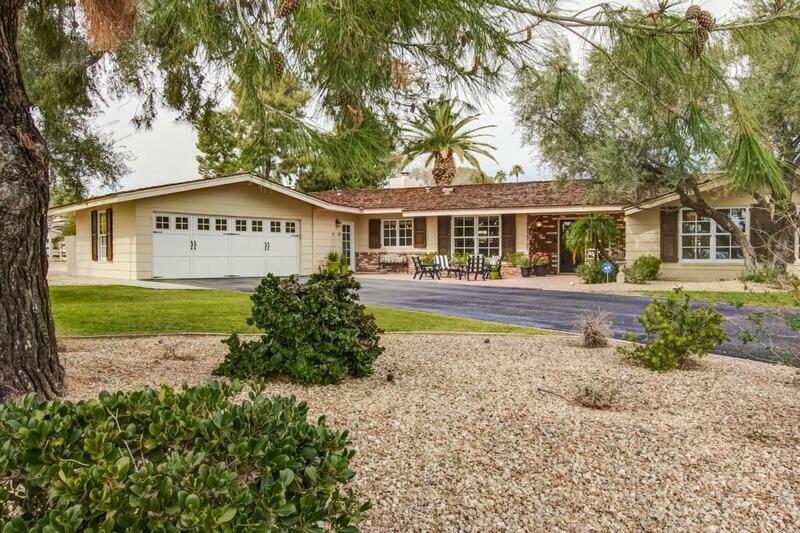 Nestled one of the most coveted and secret neighborhoods in Scottsdale; this charming ranch home, set on 1.20 acres, will leave you speechless.Hardwood floors, french paned windows and doors and tons of custom millwork, are just the beginning. The chefs kitchen has Viking appliances, sharp white cabinets w/ black granite counters. The floorplan is open, inviting and perfect for entertaining with a formal dining room and 1 large open living space. 3 bedrooms including the master are on one end and a second master/guest suite is on the other. The outdoors are simply spectacular with playhouse, guesthouse, sport court, pool and more grass and space than you can imagine! Walking distance to Old town, Scottsdale Fashion Sq and miles of canal paths. Come see and fall in love.